Richmond saw more of its Chinese residents participating in municipal politics than ever before in the lead-up to the civic election last Saturday night, a change from the approach that most have taken in the past. Although the Saturday election resulted in very few Chinese candidates being elected, it wasn’t because of a lack of enthusiasm from local voters. Chinese residents took their political opinions to the street by campaigning with political groups such as Richmond First and Richmond Community Coalition. Many were unhappy with the outcomes, which did not result in any new representation for the Chinese community that accounts for almost half of Richmond’s population. Almost two dozen Chinese candidates had participated in the Saturday election. They included three mayor candidates, 10 councillor candidates, and nine school-trustee candidates. Some of them, such as Chak Au and Alice Wong, have served as city councillor and school trustees respectively. Others, such as Sunny Ho and Melissa Zhang, came from the private sector without political background. The heavy participation in the election is a sign of political struggle in the Chinese community, say some observers. “So many Chinese have thought that my vote won’t make a difference, but right now Richmond is 52-per-cent Chinese, maybe higher,” said Greg Gerrie, a campaigner and coach for Hong Guo, the leading Chinese candidate for mayor. Gerrie is the founder of KidTalks Canada, a program dedicated to training the next generation of leaders. 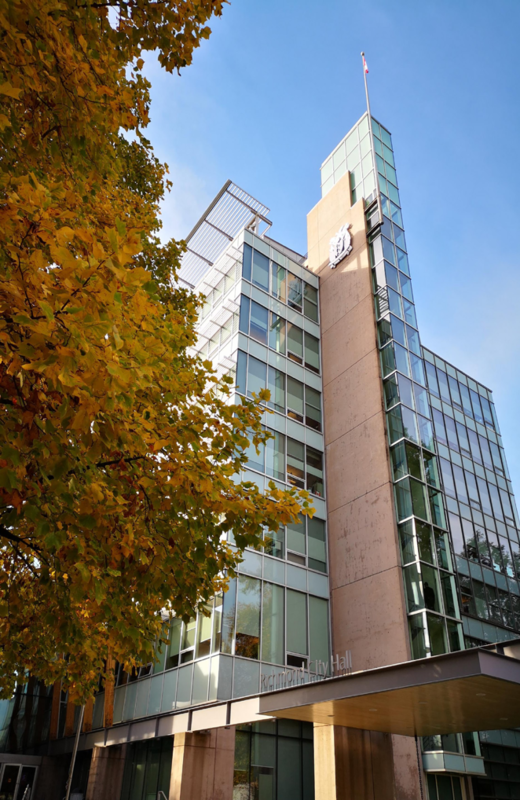 Gerrie said that the past council passed resolutions on a homeless shelter and sexual-orientation education without further consultation with the Chinese residents. Some Chinese parents saw the school policy, known as SOGI for sexual orientation and gender identity, as a “poison” into the minds mind of their children. The policy has been controversial in many school districts, although the vast majority of voters in the Oct. 21 election did not support anti-SOGI candidates, either in Richmond or elsewhere. The leading mayoral contender said that many Chinese residents of Richmond are concerned about what they see as a loss of democracy, as she did. 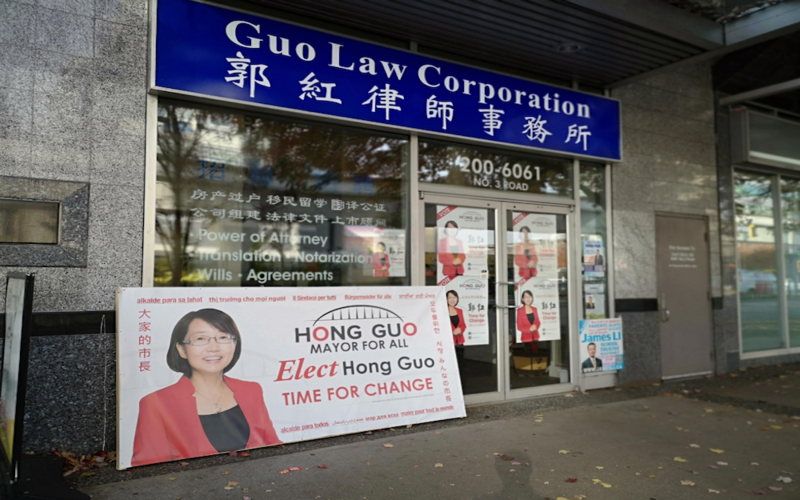 Guo’s campaign faced more negative media attention than anyone else’s, in part because of a lawsuit against her by two Chinese investors, as well as investigation of her by the Law Society of B.C. over missing funds from her firm’s trust account. As well, her name, along with others, was linked to stories about vote-buying in the Richmond News and The Star. RCMP later stated they found no evidence of a vote-buying scheme, and that an apparent WeChat screenshot of a vote-buying post was forged.